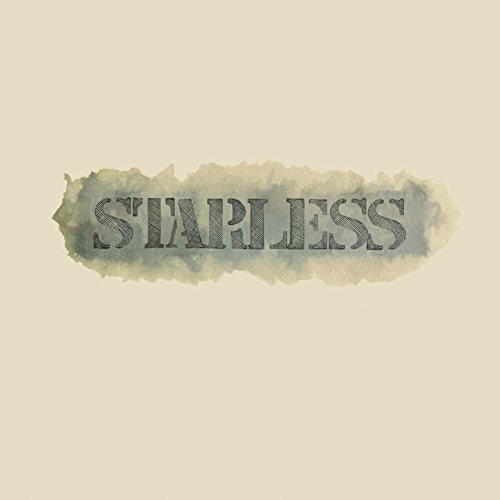 Limited to a single pressing run, Starless offers an in-depth overview of King Crimson's celebrated mid-1970's live line-up at its most exploratory. Few bands have offered as much variety in material from night to night, and King Crimson's propensity for improvisation and fondness for playing its newest material - often unreleased on record at the time of performance - is legendary. Two DVD-A discs and two Blu-Ray discs contain concert and studio recordings in stereo, quadraphonic and full 5.1 surround sound - all in high-resolution audio. * 19 CDs of live performance material. * 7 CDs taken from multi-track tape including 4CDs of material from the Glasgow and Zurich shows, freshly assembled and mastered in Hi-Res from the original Great Deceiver mixes by David Singleton at DGM Soundworld in 2014, the Amsterdam show The Nightwatch mixed by Steven Wilson and a previously unheard preparatory of material from the same show prepared by George Chkiantz (engineer of all live KC shows of the era and the Red album). * 11 CDs drawn from high quality stereo reel to reel soundboard tapes. 8 making their first appearance on CD with the remaining three re-mastered or drawn from new tape sources. * DVD-A 1 features the Starless & Bible Black album in 5.1 Surround, with new & original stereo album mixes in High Resolution Stereo plus bonus audio material. * DVD-A 2 features material from Mainz (mixed by David Singleton), Amsterdam (mixed by Steven Wilson) & a later show from Pittsburgh (mixed by George Chkiantz) in quadraphonic audio and High-Resolution Stereo. * Blu-Ray Disc 1 features full lossless audio 24/192 transfers of material from the Glasgow and Zurich shows, freshly assembled & mastered from the original Great Deceiver mixes by David Singleton at DGM Soundworld in 2014 in LPCM stereo. * Blu-Ray Disc 1 also features the Amsterdam show The Nightwatch, mixed by Steven Wilson and the George Chkiantz preparatory mix stereo in 24/96 High-resolution stereo & a 24/96 transfer of the original David Singleton/Robert Fripp mix of The Nightwatch. * Blu-Ray Disc 2 features Starless & Bible Black in 5.1 Surround (DTS-HD MAS & LPCM 24/96) alongside new and original stereo masters of the album, a needledrop of an original vinyl pressing plus audio extras. * Blu-Ray Disc 2 also features the Quad mixes of material from the Mainz, Amsterdam & Pittsburgh concerts. * Blu-Ray Disc 2 also features the ORTF Paris TV footage in a new hi-res transfer from the original source files. * 3 additional bonus CDs of audio restored soundboard/bootlegs and audio curios are also included. * 1 further concert (bootleg quality audio) is also available via included download ticket. * Album sized booklet with rare/unseen photos, new sleeve notes by Sid Smith, technical notes on the recordings by David Singleton, eye-witness accounts from fans who attended the gigs plus memorabilia including an album print, poster, replica concert ticket, press release with folder, photos and more besides. * Limited to a single pressing run. If you have any questions about this product by Discipline Global Mobile, contact us by completing and submitting the form below. If you are looking for a specif part number, please include it with your message.